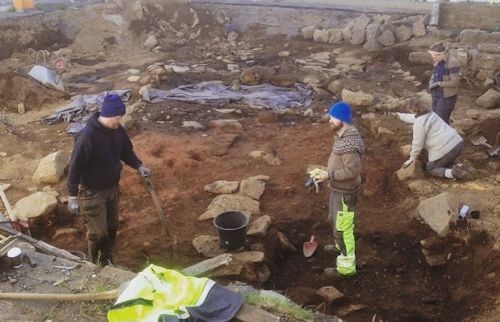 Archaeologists have discovered the remains of what appears to be an ancient lodging almost 20 feet wide and 65 feet long in central Reykjavík. A government-sponsored team stumbled across the remains of the building and believes it predates another, similar lodge discovered in 2001. While dating information and analysis aren’t yet finished, the researchers firmly believe that this discovery will rewrite local history regarding the settlement of that area of Iceland. The ancient ones are probably waiting for us to find them. Oldest Footprints in Europe Discovered on Coast! evidence of human life in the region…footprints. 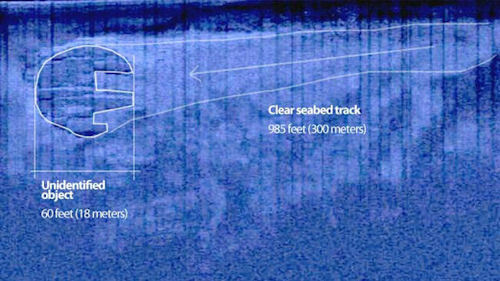 revealed by the tide and erosion in the area (similar to the discovery of a possible pyramid we talk about in the latest episode of the Weird Things podcast). hollows in the sediment were, in fact, footprints or, perhaps, something else. children and one adult male.” Researchers are estimating that these prints date back between 800,000 to 1 million years ago. Posted in Ancient Civilizations, Archaeology, Discovery | Comments Off on Oldest Footprints in Europe Discovered on Coast! 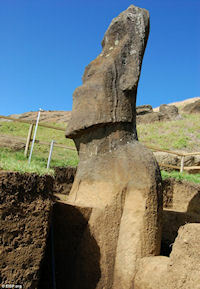 Video: Easter Island Statue Walks! This fall a collaboration between NOVA & National Geographic will show how scientists think primitive culture may have moved the five-ton, ten-foot-tall Moai statues on Easter Island. 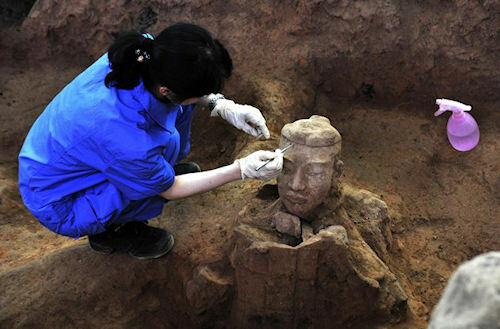 The terracotta warriors of the Xi’an archaeology dig in north-west China have become icons of the dynasties of long ago. More than 8,000 of these warriors have been excavated over the years and just yesterday more were unearthed. The current phase of the excavation of the figures, which began in 2009, has revealed 310 more figures as well as chariots, weapons, war horses, drums and a shield. The new finds include what appear to be military officials, a performance troupe and a headless warrior much larger than any figure unearthed so far. Also interesting about the new figures that’ve been absent from those uncovered in the past? Coloration. Many of the newer statues still show signs of having been painted, one even showing as much detail as having had eyelashes at one point. As exciting as this new finding is? Many archaeologists believe there is much more still waiting to be discovered. They’re featured in the title of practically every documentary or television show dealing with mysterious places. Their heads have adorned everything from coasters to keychains to books to backyard statuary. Heck, one of them even made it in Hollywood and nailed a part in Night at the Museum with Ben Stiller. But now a fairly recent investigation called the EISP (Easter Island Statue Project) is uncovering something relatively new about the heads of Easter Island…they have bodies. While experts have known about the bodies for several decades now, it’s only recently that tourists have been able to really see the dig sites up close and have seen that the enigmatic heads actually sit on shoulders of a complete figure down to the feet. Because tourism to the islands is limited, it’s taken a while for this pictures and this information to begin circulating. There are over 1,000 Moari heads scattered across the island and most of their bodies have simply been covered up by time. Why is this such a big deal if experts knew about the bodies the whole time? As the bodies are excavated, petroglyphs once hidden on the statues backs and other artifacts which laid at the feet of the statues on what used to be the top layer of soil are uncovering more and more clues about the mysterious islanders who once called Easter Island home. 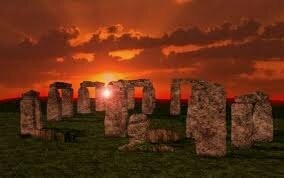 Even back in the day, Stonehenge was a tourist trap. One of the oldest human remains found near the site was identified as having Mediterranean origins. The British Geological Survey’s Jane Evans said that the find, radiocarbon dated to 1,550 B.C., “highlights the diversity of people who came to Stonehenge from across Europe,” a statement backed by Bournemouth University’s Timothy Darvill, a Stonehenge scholar uninvolved with the discovery. Of course people travelled long distances, what else where they going to do without internet or TV? Watch each other’s hair grow? The oldest known shaman died and was buried in a Northern Israeli cave. Everyone thought it would be a good idea to stuff their faces with food in her memory. Because of this, you ate a ham plate at your Uncle Barry’s wake. A study published Monday in the journal Proceedings of the National Academy of Sciences by Grosman and Natalie Munro, a zooarchaeologist at the University of Connecticut, reveals that the shaman’s burial feast was just one chapter in the intense ritual life of the Natufians, the first known people on Earth to give up nomadic living and settle in villages. The other traditions? Carried the dead bodies along with the party supplies up the mountains to their elevated resting places. Who’s got two thumbs and is pretty psyched we dropped that one? A letter found in the ruins of a collapsed Spanish colonial church in Peru could be the key to a heretofore undiscovered language. Awesome. “Even though [the letter] doesn’t tell us a whole lot, it does tell us about a language that is very different from anything we’ve ever known—and it suggests that there may be a lot more out there,” said project leader Jeffrey Quilter, an archaeologist at Harvard’s Peabody Museum of Archaeology and Ethnology. The letter was preserved because the caved in structure protected the relatively unharmed library and offices of the facility. If so, that would be a minor sensation — merely due to the quantity of ceramics required. The aguadas in Uxul were each as large as ten Olympic-size pools. Maybe there used to be even more artificial lakes. After all, the precious commodity had to be enough to last a population of at least 2,000 through the 3-month dry season. Mayans! What will they have thought of next! It meandered about the sea, a living blob named Drakozoon kalumon. Surviving by glomming on to other creatures and surviving on the tiniest morsels of food, this 1.7 millimeter creature was protected by a leathery outer skin bigger than it’s own body. 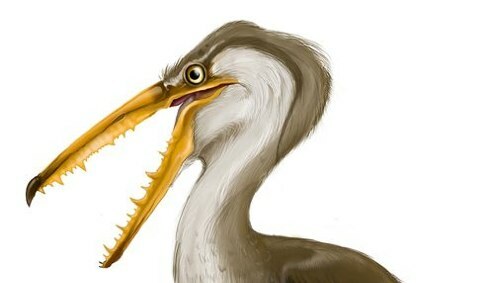 Until it was imprisoned in volcanic ash for 425 million years. But now, Drakozoon is back! Or at least a 3-D model of him is. Its two coiled arms likely did the work of feeding. “If it worked like a brachiopod, and I suspect it did, it would have used fine setae (hairs) on the arms to generate currents, catch tiny pieces of food in the seawater, and pass them down the arms into the waiting mouth,” Sutton told LiveScience. The preserved blob was attached to the fossilized shell of a type of spineless shellfish known as a brachiopod. Researchers made the discovery about six years ago in the Herefordshire Lagerstatte, one of England’s richest deposits of soft-bodied fossils. Doesn’t Drakozoon kalumon just sound like it needs to be chanted by an evil mastermind trying to resurrect some Lovecraftian leviathan? Just asking. The Mysterious Wooden Stonehenge… Of Cincinnati? A ceremonial ground designed by a long-gone culture to mark and celebrate the lunar cycles… just over the river from modern-day Kentucky. 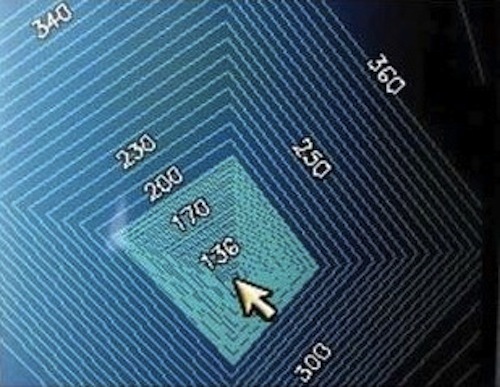 This year archaeologists began using computer models to analyze Moorehead Circle’s layout and found that Ohio’s Woodhenge may have even more in common with the United Kingdom’s Stonehenge than thought—specifically, an apparently intentional astronomical alignment. The software “allows us to stitch together various kinds of geographical data, including aerial photographs and excavation plans and even digital photographs,” explained excavation leader Robert Riordan, an archaeologist at Wright State University in Dayton, Ohio. If this isn’t somehow referenced in a Chad Ochocinco touchdown celebration this season, we will be very disappointed. Child please. Posted in Ancient Civilizations | Comments Off on The Mysterious Wooden Stonehenge… Of Cincinnati? German explorer Leo Frobenius came to West Africa and made a startling discovery. Gorgeous statues cast in exquisite bronze. So intricate, so beautiful, they so could not be the work of the locals. No, of course not. They simply had to be the handiwork of the lost city of Atlantis. Finally! Proof had washed upon the shores of modernity! Or not. Turns out the statues were, in fact, created by the locals. Oops. “I was moved to silent melancholy at the thought that this assembly of degenerate and feeble-minded posterity should be the legitimate guardians of so much loveliness,” he added. 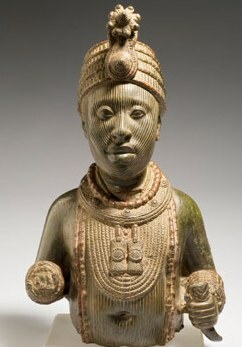 Frobenius was referring to the people who lived in the Kingdom of Ife and whose artists, in fact, created the sculptures over the course of some four centuries. Leading art experts believe they are among the most aesthetically striking and technically sophisticated in the world. The sculptures are now on display at the Museum of London, after which they come to the United States. You are currently browsing the archives for the Ancient Civilizations category.